Milton H. Greene during publicity photos for "Prince and the Showgirl"
Chance meetings at Gallagher's had nothing on her next celebrity introduction. "We were like two little fourth graders meeting their hero," Judy Quine says of herself and Marilyn at the prospect of meeting Sir Laurence Olivier. The actor-knight arrived in New York during the first week of February to publicize the premiere of Richard Ill on NBC. RCA had purchased the rights to his monumental film as a big promotion for color television, and for the first time a major theatrical film would be introduced on the small screen. During his visit he planned to meet with Marilyn and Milton to finalize their co-starring venture in The Sleeping Prince. Terence Rattigan, also in town for the meeting, would adapt his play, while Olivier had been lured into the project with the promise of directing and co-producing as well as co-starring. They set the meeting at Olivier's hotel on the day of the telecast, a very rainy Sunday in New York. When Jay Kanter, who represented Olivier and Rattigan in America, arrived, Olivier offered gallantly, "It's such a bad day, we can't make her come here. We'll go to see her." So they all headed over to Sutton Place, where Milton greeted them at the door. "And we're all waiting for Marilyn, who was in the bedroom just too frightened to come out," recalls Kanter. "We waited, and we waited, and we waited. We waited a couple of hours. I'll never forget how embarrassing the whole thing was. Finally, with Milton's persuasion, she did come out, and Larry and Terence made her feel so comfortable." In that particular case, the conflict, which prompted Marilyn’s pathological lateness, can be readily explained. "Pre-Milton, pre-star Marilyn is in worshipful awe of this actor and feels unworthy to be in the same room with him," relates Quine, "but the new Marilyn is going to talk about co-producing a movie in which they co-star and she wants him to like her and respect her talent. So which Marilyn do you get to be?" 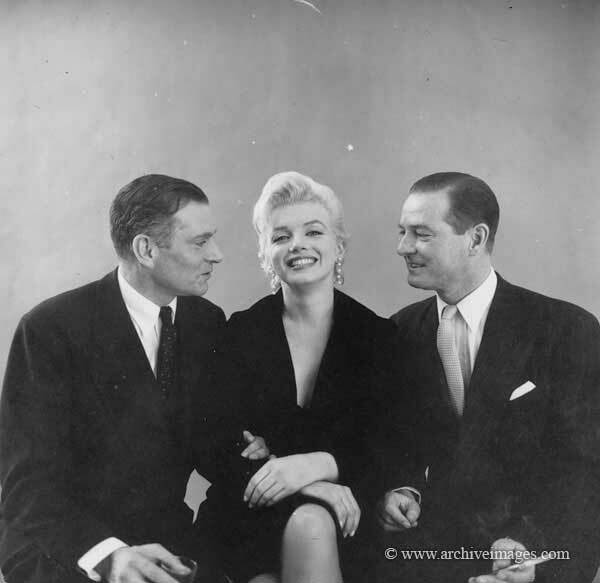 She stayed in that bedroom for two hours because the new Marilyn was working to make the old Marilyn worthy of going out and meeting Sir Laurence Olivier as an equal or co-star or human being. Excerpted from Milton's Marilyn, written by James Kotsilibas-Davis & Directed by Joshua Greene. Published by Moss Run, LTD.